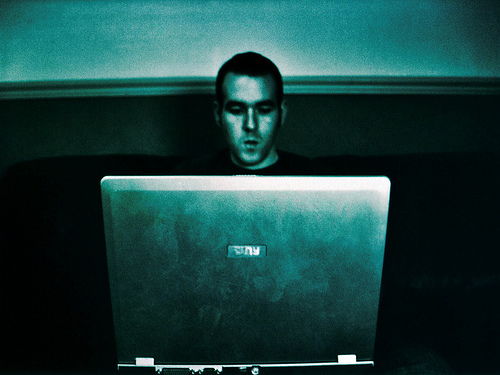 There are more than a trillion Web pages on the Internet. This incredible abundance of information and the ease with which it can be searched sometimes fails to counteract the confusing chorus of anonymous sources. Society is evolving towards a system of knowledge that values uncertainty, freedom, and sheer volume. 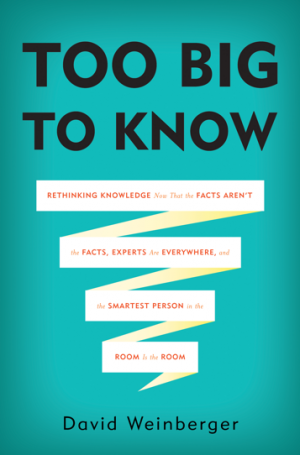 In his interview with Michael Krasny on KQED's Forum, Weinberger’s book lays out a few helpful principles to help people navigate this new Net-based knowledge system. EMBRACE THE INTERNET "OPEN ECOLOGY”: Weinberger admits that there is a lot of “crap” on the Internet, but there is also a wealth of previously closed-off information. Scientific papers, newspaper archives, historical documents, and an infinitude of videos and audio recordings, make academic research breathtakingly simple. Skillful navigation of these sources enhances critical thinking and allows researchers and students to make more sense of their world faster. DEVELOP A FILTER: As Weinberger says, the Internet’s ethos is to “include everything and filter afterwards.” Discerning searchers must use their own filters to gauge the veracity of what they find on the Net. In this way, Weinberger argues, the Internet is not the medium; the users are. He says all information should always be questioned, whether it comes from The New York Times or TMZ. FOLLOW THE LINKS: In a Net-based system of knowledge, there are no “stops” as there were in previous eras when institutions—like publishing companies and universities—served as clearinghouses of knowledge. Now, knowledge is infinitely linked and consumers can pick which avenues to explore on their own. Weinberger says links and aggregated data on the Net create a new kind of credibility. Trending articles on Facebook or highly rated users on Amazon carry an air of legitimacy that would have been impossible to achieve in times when knowledge was centralized. SEEK OUT DIFFERENCES: Weinberger argues that the Net has the potential to deconstruct the “echo chamber” of knowledge, but only if consumers consciously seek knowledge sources that differ from their cherished beliefs. In this way, he says the Internet can “make us smarter” by exposing us to unfamiliar topics or allowing us to see things from a viewpoint totally opposite our own. Listen to the fascinating interview with Weingerber on KQED's Forum. Also read 12 Ways to Be More Search Savvy.